To get digital impact, sometimes you have to think offline first. Too often, companies attempt to use PR to simply build backlinks to the website and forget the direct impact good PR can have. We all know that newspaper readership is falling but printed comment still carries significant weight and has the power to inform opinion. In order to get into the papers, you firstly need a good agency – one that has contacts and understands what the relevant journalists want to see. You also need good stories – simple product announcements carry little interest for mainstream media or their audience. At Digital Look, we had no shortage of data on which to base interesting articles. 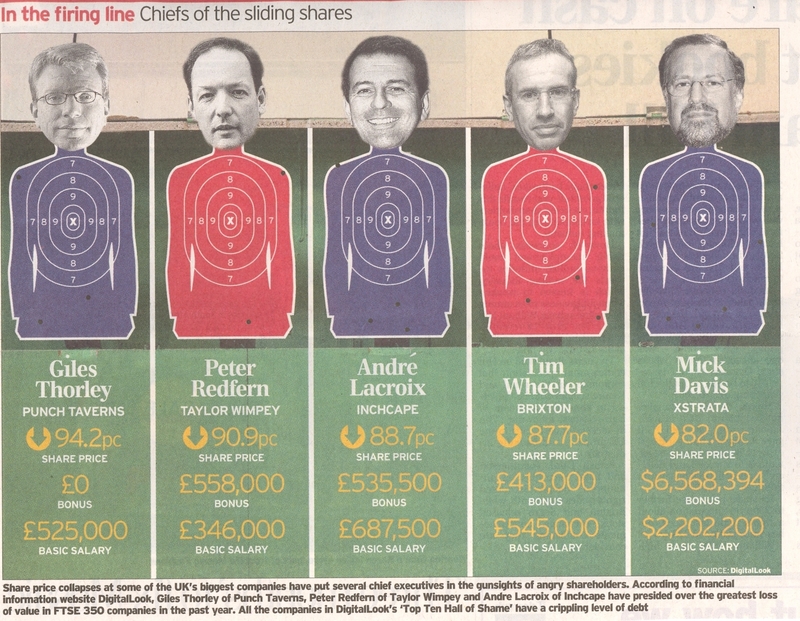 There’s nothing a journalist likes more than sticking in the knife – so, in one release, we supplied them with a list of the worst performing CEOs in the FTSE350 based on the inverse correlation between their salary and their share price performance. The aim of the PR campaign at Digital Look was to grow website registrations and broaden the catchment of the website. And every time we got good press coverage, we saw a boost in daily site registrations. The release above boosted site registrations by around 15% on the day. A good write-up in the Sunday financials sections of the Times or the Telegraph could boost average registrations by 100% and more. And people keep reading the Sunday supplements through the week, so we would often see higher than average registrations over the next three or four days. Individual press releases can build website traffic, social media comment, site registrations and even sales. However, a well thought-out PR campaign builds your brand in a much more exiciting way. Click here to view a full list of media coverage for the Digital Look PR campaign (pdf). This entry was posted in Uncategorized and tagged business, marketing, PR. Bookmark the permalink.